This work reflects an earlier, more flexible notion of the book, when the possibilities of printing were being explored and the page was still a field for experimentation. 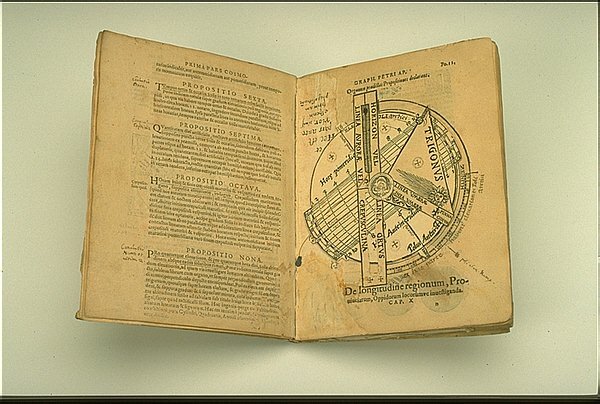 While maps, charts, and diagrams were not unexpected elements in this treatise on navigation, instruments with moving parts were a bit of an innovation. This book includes several moveable diagrams--or volvelle--made up of printed paper disks attached by string to a central axis. 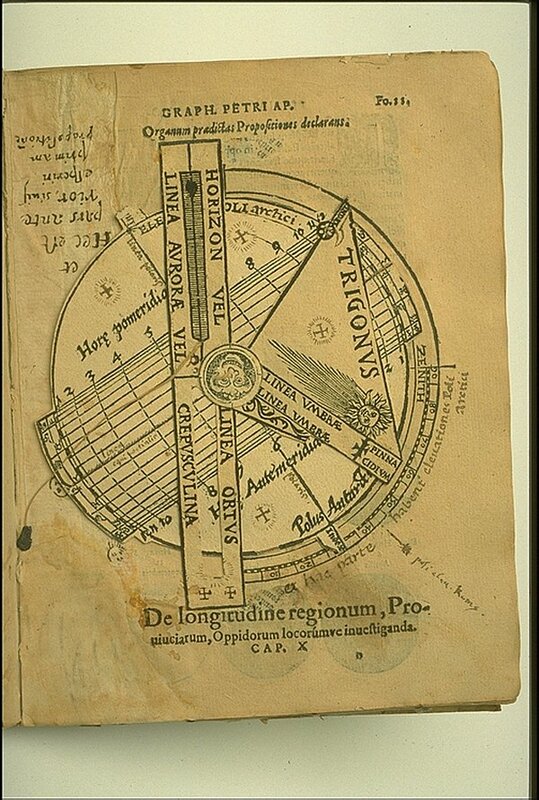 The diagrams can be manipulated to calculate the position of the sun, moon, and stars, or operated like an astrolabe to assist in determining the position of the ship at sea.